Vision Projects wesite gets a makeover, see our new homepage! Vision add the WOW factor to your office interior. 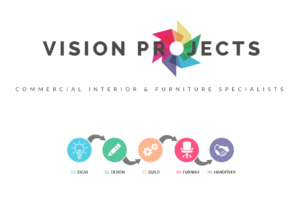 We can take the bare shell of a building and provide a complete fit-out, or add the furniture to a completed space, either way you’ll be in safe, enthusiastic, creative and reliable hands.